Here’s what to look for when buying hair straighteners. How do we know what’s important? We don’t, but our survey of over 3000 straightener users gave us the answer: Existing owners of the top-rated hair straightening irons told us what was important to them. At Best Buys for You we like to cut through all that marketing hype and get to the heart of the matter – the key benefits a canny buyer would want to know. That way you can have the best hair straighteners for less. 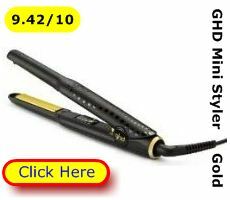 That’s right, with our help you can get your hands on a dependable, hair styling iron for a bargain price. We’ve interviewed just over 3,000 UK people. That means we’re now qualified to help you cut through the confusion of choice and pick the best hair straighteners for your hair. The users who contributed to our investigation have had used their straighteners for six weeks or more. With their help we’ve been able to answer the question: What should I look for in the best hair straighteners? Precise heating controls are important because your hair length may change, you may colour your hair or you may share your straighteners with family members who have different hair textures. You want low heat for fine hair and a higher heat for thick and/or very long hair. And you want everything in between so you can set up your straighteners to suit your own hair and fashion look. Ceramic coated hair ironing plates ensure two things for your comfort and the health of your hair. First a ceramic coating ensures the ironing plates heat equally across their surface and maintain a constant heat. That’s important as you want to dry and fix a lock of hair consistently – otherwise you’ll iron in a wave not straightness. Secondly the ceramic coating enamels the ironing plate making it shiny and slippery. 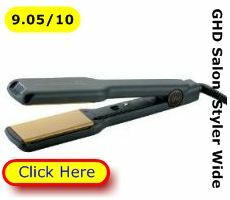 You want the straighteners to move smoothly down the hair without dragging at or burning your hair. If you have fine hair you probably know that static can cause fly-away or frizzy hair, particularly on cold, damp days. 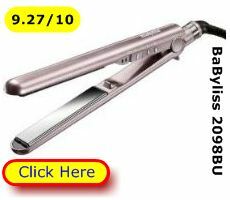 Some hair dryers and now hair straighteners, too, incorporate an ionic technology to combat frizz. Static electricity is made up of positive ions. An ionic hair straightener produces a stream of invisible, harmless negative ions. These counter the positive ions that cause frizz. 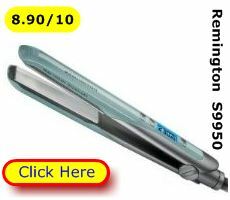 If you have longer and thicker hair wider hair ironing plates can be a boon. Your problem is quickly and safely ironing, drying & setting a lock of hair consistently along its length. Get it right and the hair hangs straight. Wider hair ironing plates can help you because they provide more hair ironing/drying area than standard narrower plates. Rounded barrels on each arm of the straightener turn it from a simple hair straightener into a versatile hair styling iron. You can wrap hair round the barrels to create curls, waves and crimps. Hair straighteners are provided with visual instructions. You can also find easy to follow instructional videos on line. A reasonable length power cord means you can position yourself comfortably to use the straightener. 2.5 to 3 metres of cord is just enough to avoid dragging or tangling the cable. It’s also ideal for salon work, too. Cord freedom ensures the straightener’s cord arches away from your head. The cord won’t snag or drag your arm. If you are in a hurry in the mornings or you are giving a straightener to a teenager, you may worry about whether that straightener is switched off after use. 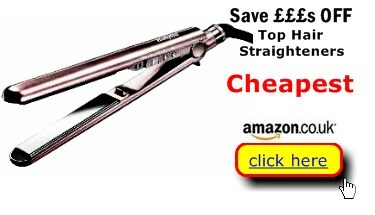 It’s re-assuring to know that many top-rated straighteners now include an auto-shut down or hibernation facility. That means if the straightening iron is left un-attended and un-moved for a period of time it will either switch itself off or go into hibernation and cool down. 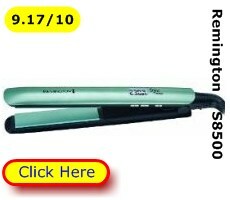 That concludes our user guided answer the question: What to look for in the best hair straighteners? To be a canny shopper you need two things: insider knowledge and the best price. First we interview the people who really know their subject: Owners of hair straighteners who’ve spent at least 6 weeks finding out the pros and cons of their chosen model. 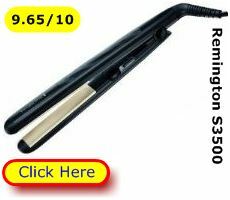 From this wealth of information we can tell you the top 10 hair straighteners in Britain today. Second, we can show you what to look for when buying hair straighteners: those 7 qualities that will matter to you. Thirdly, we can help you find the best price, because we keep tabs on the 3 or more best prices across a panel of trusted retailers. 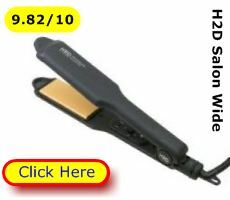 You want a reliable, wave smoothing and beauty enhancing hair styling iron. 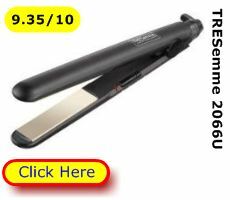 Not a cheap and nasty flat iron that could damage your hair. You deserve the best at the lowest price. 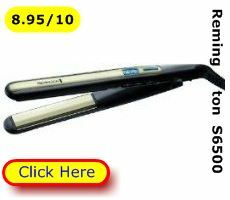 And we can help you get it, now you know what to look for when buying hair straighteners.